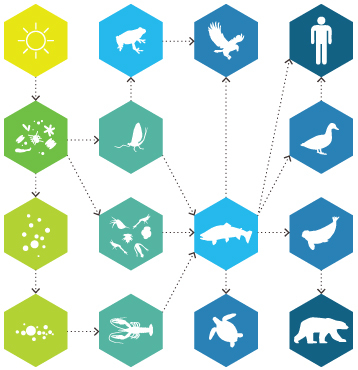 Lakes and ponds of any size are complex ecosystems with numerous inputs and outputs that can impact water quality in subtle or drastic ways. Whether the lake is man-made, with a focus on recreational fishing and watersport, or a habitat naturally formed from ancient glacial or tectonic activity, understanding the hydrological parameters that contribute to a lake’s health is important for proper management. A real-time monitoring system enables lake management professionals to stay abreast of constantly changing water quality, and address potential issues before they develop into larger problems. These issues may be related to sediment and turbidity, thermal stratification, excess nutrient loading and algal blooms, among others. Fondriest Environmental offers specific guides addressing many of these conditions; this guide will focus on limnology and lake management from a broader perspective. A number of federal and private organizations offer guidelines for ideal lake conditions, including the U.S. Environmental Protection Agency, the U.S. Geological Survey, the North American Lake Management Society and more. Whether you’re a resource manager overseeing a pond, lake or basin, or a member of a civil or commercial project that could impact lake health, be sure to check with your local Department of Natural Resources to ensure hydrological standards are being met. 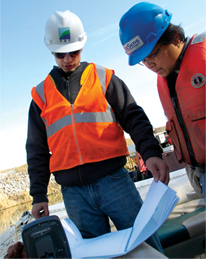 “Lake management” is a broad term that can apply incorporate many disciplines and applications. Management of a single lake can include conservation, improvement, restoration and rehabilitation projects, as well as studies of the local watershed and other waterbodies in the system. The North American Lake Management Society recommends “iterative steps” when managing lakes and watersheds. Small efforts toward an established goal cost less than major improvements, and are less likely to negatively impact non-targeted organisms and other aspects of the lake. It warns, however, that certain techniques are only effective when performed at a larger scale, potentially raising the cost and impact of lake management. Compromises may be necessary to achieve a desired effect under constrictions of time and funding, but local regulations should be consulted to determine whether any action to a lake or watershed is appropriately justified. There are a variety of approaches to lake management, and many techniques capable of altering a lake’s nutrient content, oxygen levels, biotic distributions and sediment composition. These can be as “simple” as harvesting plants, adding bacteria and removing certain fish species, or can include more complicated measures, such as lowering water levels, dredging sediment or controlling various hydraulic factors. Any of these operations can interfere with a lake’s thermal profile, so it is advisable to maintain a hydrological monitoring system before, during and after a project. The means by which a waterbody was created can have a lasting impact on its hydrological properties. Depth, area, volume and flow are all important characteristics that are at least partially determined by a lake’s formation. Because lakes are formed by major events on or below the Earth’s surface, lakes tend to be concentrated in areas with other waterbodies. An understanding of a lake’s origins can provide a useful profile of the physical, chemical and biological events to which the lake may be prone, and also help you decide which types of monitoring are most appropriate for the circumstances. Easily the most common of all lake basin formations, glacial lakes were created by the movements of massive sheets of ice 10,000 to 12,000 years ago. Glaciers were most common in the northern hemisphere during this period, therefore most of the world’s lakes occur there as well. Remnants of the glaciers that formed most of North America’s lakes can still be found today in certain mountainous regions of the U.S. and Canada. When glaciers move across a landscape, they scrape off the tops of hills and relocate sediment of all sizes. Lakes formed from glacial movement can be a result of moraines, or dams created when deposited glacial sediment blocks a river. Other glacial lakes are formed from the glacier’s back and forth scraping motion after many years. Glaciers covered by sand and gravel can form marshes when the ice melts and a depression is left behind. Slowly melting glaciers can also form rivers below the ice sheet. Sometimes, underground deposits of rock can dissolve as water flows through them, leaving behind a depression in the ground above. When these round depressions fill with water, they’re known as solution lakes. Sodium chloride and calcium carbonate deposits are most soluble in water, and therefore most likely to dissolve and form solution lakes. These types of lakes are particularly common in Michigan, Indiana, Kentucky, and Florida. Volcanic activity can form lakes in a number of ways. When magma erupts from a volcano, the empty cavities that remain can collapse, leaving depressions on the volcano’s surface in which lakes can form from rainfall and runoff. Lakes formed this way are known as calderas, and tend to appear unusually round. 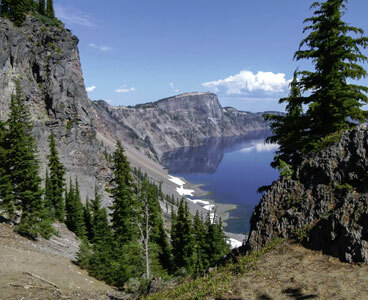 An inactive volcano can also collect water in its crater, forming a crater lake. Additionally, lava flowing from volcanoes can result in the formation of lakes as it cools more quickly on the surface than below. The hardened lava on top will often collapse on the molten lava below, creating depressions that can turn into lakes. As the Earth’s crust moves deep below ground, depressions can result from tectonic faulting. During an earthquake, for instance, weak spots in the Earth’s crust may cave in, forming a depression in which rain and groundwater can collect. Known as grabens, these sorts of lakes are often very old and deep, and exhibit highly diverse ecosystems. 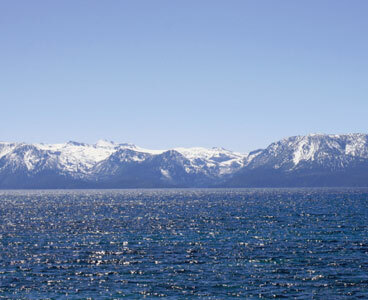 Lake Tahoe in the U.S. is a result of tectonic activity. The world’s deepest lake, Lake Baikal in Siberia, is also a graben. There are several other fairly common types of lake morphology that you may encounter during a monitoring project. Oxbow lakes are formed from erosion caused by river flow. 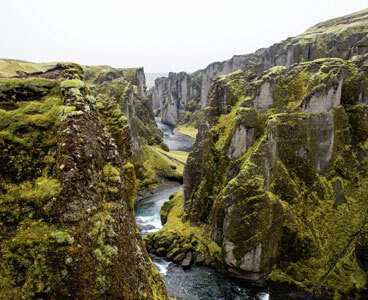 The outer bend of the river exhibits the fastest flow, and therefore the highest rate of erosion. While the outer bend continues to expand, the river leaves sediment and other materials closer to the inner bend, eventually forming a separate, C-shaped area of limited flow known as an oxbow. In North America, beavers are responsible for the creation of many small lakes and ponds, as their dams can divert river flow and leave behind shallow, nutrient-rich waterbodies. Humans, of course, also create artificial lakes for purposes including drinking water supply, power, recreation, and flood control. 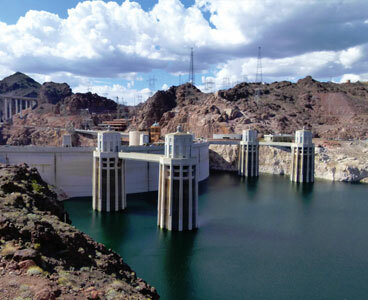 Disastrous events such as landslides can dam rivers and form lakes, though these are usually temporary, due to the instability of the damming materials. A wide array of hydrological phenomena can manifest in lakes, each as complex as the last, and, in many cases, are intertwined with one another. Natural resource managers responsible for lake upkeep may need to keep a close eye on some or all of these phenomena, while specific monitoring projects may only aim to observe a particular effect of one. Even if your application only calls for monitoring of one parameter or process, understanding how that process affects others and fits into the overall health of the lake will improve your ability to analyze data and respond appropriately. When overgrown blooms of algae die and decompose, the increased loads of organic matter — and the organisms responsible for decomposition — consume available oxygen in the water, causing hypoxic “dead zones” to form. These dead zones reduce the liveable space in a lake, and can increase competition and kill off other organisms, such as fish. The process is natural in most water bodies, but anthropogenic activity, such as agricultural fertilization, can speed it up. 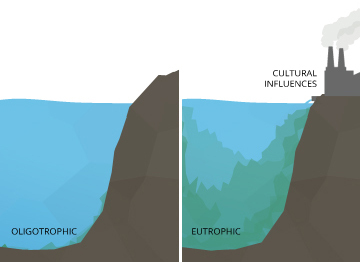 While eutrophication is mostly a function of nutrient loads, temperature can have a major impact on the phenomenon. Higher temperature can increase biomass production, therefore contributing to the overall rate of oxygen depletion. Furthermore, highly stratified lakes are more vulnerable than well-mixed lakes, as the thermocline prevents exchange between any anoxic zones and oxygenated waters. Lake stratification is a product of the relationship between water density and temperature. Unlike other compounds, water is more dense as a liquid than a solid — that’s why ice floats. Water is most dense at 4 degrees Celsius, and becomes less dense as it warms or cools. At that point, of course, there is a lot more room for water to warm rather than cool, as it freezes at 0 degrees Celsius. In the summer, solar radiation heats the epilimnion, or top layer of a lake, causing the water there to become less dense. The hypolimnion receives less light, if any, and remains cold and dense. Differences in density cause the epilimnion to float atop the hypolimnion without mixing, forming a dividing layer known as the thermocline. Algae and zooplankton live in the epilimnion during the summer, but when they die, invertebrates and microorganisms living in the benthic sediment decompose the remains, using up oxygen in the process. 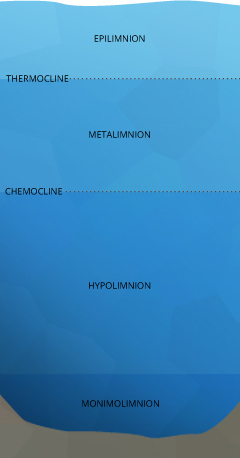 Because the lake does not mix during the summer, the hypolimnion can become anoxic under certain conditions. As the weather cools and sunlight grows less intense in the fall, the epilimnion begins to cool, reducing the difference in density between it and the hypolimnion. A combination of wind and shifting water density helps mix the layers, distributing oxygen and nutrients throughout the water column. Some lakes ice over in the winter, preventing the wind from mixing the water. A thin layer of cool water forms beneath the ice, while warmer, denser water sits at the bottom of the lake, resulting in a phenomenon called inverse stratification. Just as in the summer, the hypolimnion receives no new oxygen. Lake hypoxia in the winter often produces a “winter kill,” in which oxygen-dependent fish and other organisms die en masse. The same chemical processes that lead to anoxic conditions can cause phosphorous release, leading to increased algae growth in the warmer months. 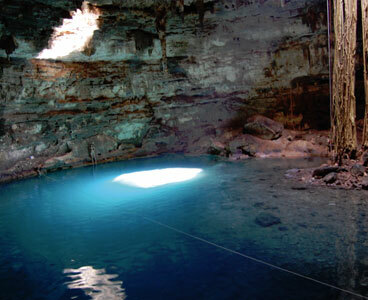 Lakes that mix twice a year are known as dimictic lakes. Shallow lakes exhibit different hydrological qualities, and can mix more often than deeper lakes. Turbidity is a measurement of water clarity. Turbidity can be influenced by a number of factors present in waterbodies, including the presence of mud, silt, algae, or chemicals in the water. Industrial activities, such as mining, logging, and — perhaps most commonly — dredging often contribute to turbidity levels in lakes and rivers. Turbidity often varies with the seasons, as ice and snow drastically affect flow and the presence of sediment that can cloud the water. Lakes covered in ice during the winter usually exhibit very low turbidity, but will develop high levels of turbidity following spring snowmelt as mud and dirt are washed into the water. The growth of algae and other organisms in the summer can also cause a boost in turbidity. The significance of turbidity in a lake depends on the season, the lake’s morphology, and the ecosystem within. Highly turbid waters prevent the passage of light necessary for plant growth, which can also diminish the survivability of other organisms that rely on plants for food. Algae-related turbidity is often associated with eutrophication and hypoxia at the bottom of lakes, particularly those that are highly stratified or suffer from poor mixing. Very high turbidity can actually cause fish and other other organisms to suffocate, impact their ability to catch prey, and even bury fish eggs on the lake’s bottom. Particles responsible for turbidity may carry bacteria or other contaminants that can harm a lake’s water quality. Algae and algal blooms should not be regarded as inherently harmful to water quality in a lake. In fact, algae are an important part of lake ecosystems. Algae oxygenate water, convert inorganic matter into organic matter, and act as the base of a lake’s food chain. Nutrient loads are the primary determinant of algae growth in lakes, and therefore it is vital to monitor nutrient levels — especially phosphorus and nitrates — in lakes that exhibit an overabundance or lack of algae. Water temperature, turbidity, and competition from other plants and animals can also influence the growth of algae. As mentioned above, high levels of algae can contribute to eutrophication, turbidity, and hypoxia in lakes. Because many algal blooms form on the surface of a lake, most monitoring can be done by sight alone, though aerial observation, or even satellite imaging may be necessary for especially large lakes. An effective limnological monitoring system should be built upon real-time or interval-based measurements. The addition of data logging and telemetry instruments enables researchers and managers to study limnological readings remotely at their convenience. Depending on the conditions being examined, a limnological monitoring system can consist of one or many instruments. Assess the state of water quality in the open lake basins. Provide data to detect and evaluate trends and annual changes in chloride, nitrate nitrogen, silica, phytoplankton, total phosphorus, chlorophyll a, and secchi disc depth. Provide data sufficient to verify or modify water quality models. Provide data to calculate the trophic index of each lake. While a program that covers all of the Great Lakes will almost certainly have a greater need for equipment, personnel, and coverage than a similar program on a smaller lake, the objectives of your project could include all or any combination of those in the EPA’s list. A limnological monitoring project can require the observation and measurement of a wide variety of hydrological parameters. 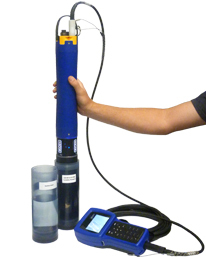 For this reason, Fondriest Environmental recommends using a multi-parameter sonde as the foundation of your project. Lake water conditions can vary widely, sometimes even in the same lake. 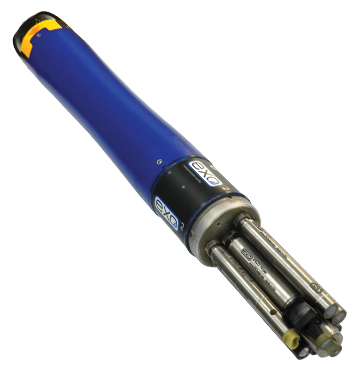 Sondes with built-in optical sensors may include anti-fouling wipers to ensure their lasting performance in the field. Even these sondes, however, should still be occasionally checked for accumulation of grime and organic matter around sensors, ports, and connections. Solar radiation falling between 400 and 700 nanometers is known as photosynthetically active radiation, or PAR. This parameter is of particular importance in freshwater lake environments, as it is a determining factor of aquatic productivity. Plants, of course, rely on PAR for growth, but a number of other vital organisms at the base of the food chain do as well. Some PAR sensors are constructed to resist corrosion and minor jostling. Each PAR sensor is rated for use up to a certain depth or pressure. While some PAR sensors measure radiation in one direction, others can sense photon flux in all directions. This is especially useful when studying certain photosynthetic organisms such as phytoplankton, which acquire radiation from multiple directions. Before deployment with a multi-parameter sonde or data buoy, make sure your PAR sensor is suited for the job: water depth and turbidity can affect the performance of some sensors. Highly turbid waters may require special PAR sensors for accurate readings. As mentioned before, there are many hydrological parameters that can be measured in any given lake, but the needs of one limnological project can differ widely from another. The number of monitoring sites, their locations, and the instruments used at each will vary from project to project, but there are a few qualities that most inland lake monitoring systems will share. To be effective, measurement data should be provided in real time. The easiest and most efficient way to do this is with a buoy-based monitoring system. A data buoy can house sensors at multiple depths in the deepest part of the waterway, providing more comprehensive data than a shore-based system. This system can then securely transmit the data to the Internet in real time for access from any computer. Buoy systems are flexible and customizable based on the limnological project requirements. They can house as many sensors as needed, and all equipment is powered via a marine battery and recharging solar panel system. With multiple telemetry options to choose from, continuous real-time data are available from any computer. This ensures that the project runs smoothly, and any control measures can be implemented immediately if parameter limits are exceeded. 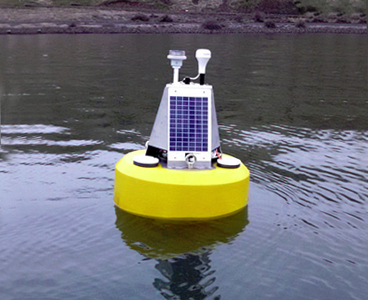 A data buoy is a floating platform that supports real-time monitoring instruments such as sensors and data loggers. In addition to housing the monitoring equipment the buoy supplies all power and can transmit sensor data in real time. 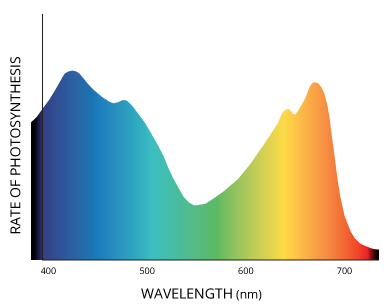 The PAR sensor uses a silicon photodiode and glass optical filters to create uniform sensitivity to light between 400 nm to 700 nm, which closely corresponds to light used by most aquatic plants and algae. Sensors can be oriented to measure both downwelling and upwelling radiation. Data buoys can be anchored with a single or two-point mooring based on application requirements. Instant access to project data is available 24/7 through a cloud-based data center. Monitoring data can be viewed in real time, or as a graph to identify trends. Real-time automated alerts can be sent via text or email when specified parameters exceed pre-defined limits. Where an inland lake monitoring system should be located will depend largely on the site conditions. Careful planning is needed to select the location, determine depth and water level fluctuation, and design a mooring solution that will effectively hold the system in place without damaging the instruments. As suggested by the name, stationary systems are set at fixed locations. These systems can be placed on structure or on an anchored buoy in the water. However, site conditions often make it difficult or impractical to mount the monitoring equipment along the shore. In addition, relying solely on shoreline solutions may not accurately represent water quality conditions. 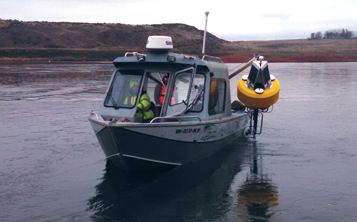 For these reasons, buoy-based systems offer the most comprehensive and cost-effective solution. Data buoys provide a stable platform for temperature profiling, with the ability to house multiple sensors at different depths in the water column. In addition, they can carry a data logger, solar-powered battery pack, and telemetry (wireless communications) systems for extended deployments. These buoys can come in different sizes based on the environmental conditions and the number of sensors suspended from the buoy. Data buoys with 150- to 450-lb. net buoyancy are generally adequate for monitoring projects on rivers, inland lakes and protected waters. Larger platforms may be required in coastal and Great Lakes deployments that are subject to more extreme conditions and wave action. For accurate data, all sensors should be calibrated shortly before the project begins. If using a buoy-based system, the platforms should be fully assembled on shore prior to deployment. This includes attaching any sensors, towers, solar panels and additional ballast weights if needed. Furthermore, the complete monitoring system (sensors, data logger, telemetry, software) should be tested before the buoy is put in the water. While this process ensures that all equipment is functioning within specifications, it also gives everyone the chance to familiarize themselves with the system prior to deployment. Issues are always easier to deal with before the buoy platform is deployed in the water. A buoy-based system must be moored to ensure that it remains stationary. It is recommended to moor the buoy in the deepest part of the waterway to ensure the most inclusive measurements. This allows for multiple measurement depths and will best reflect the characteristics of the water body as a whole. Buoy-based systems are typically moored as either a single-point or two-point mooring, based on environmental and application-specific factors. Learn more in the Buoy Mooring section. To maintain accuracy and keep equipment functioning within specifications, best practice recommends cleaning and calibrating the instruments at regular intervals. It is also recommended to cross-check sensor accuracy against a separate instrument. Projects may even require the use of a Quality Assurance Plan (QAP) that provides a detailed outline of maintenance, calibration, and QA/QC requirements. Prior to calibration, it is important to thoroughly rinse the calibration cup with water and then rinse with a small amount of the calibration standard for the sensor being calibrated. Two to three rinses are recommended. Discard the rinse standard, then refill the calibration cup with fresh calibration standard. Fill the cup with adequate calibration standard to fully submerge the sensor. Volumes will vary, just make certain that the sensor is submerged. Be careful to avoid cross-contamination with other standards. For greater details regarding sensor calibration, the manufacturer’s user manual should be referenced. 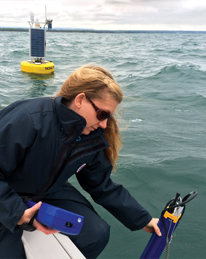 In many cases, the same water quality instruments deployed on the buoy can be outfitted with a cable and handheld display for spot sampling. For example, if a buoy is deployed with an YSI EXO2 water quality sonde, then a separate EXO2 sonde with cable and handheld display can be used for performance verification. It is important to use the similar and consistent sensors when verifying data, as values tend to have variability across different sensing instruments. 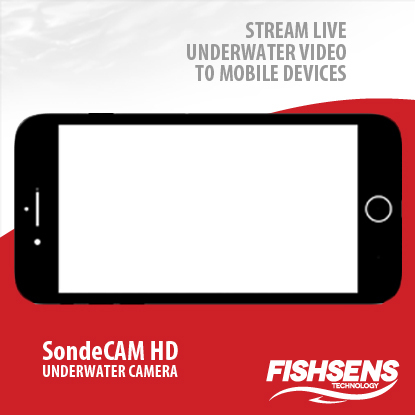 The sonde or sensor can be lowered into the water column to a depth that matches the in-place sensors. While it is at that depth, a water quality measurement can be taken. The data from this portable system can then be compared to the in-place monitoring system and checked for discrepancies. While there are plenty of limnological and hydrological monitoring instruments on the market, some stand out about the rest. Fondriest Environmental has selected these products as the best in their field for their quality, reliability and value. Together, they provide an advanced and powerful real-time temperature profiling system. YSI’s EXO2 Multi-Parameter Water Quality Sonde provides six sensor ports, making it the perfect foundation for water quality monitoring in any setting. The LI-COR LI-192 Underwater PAR Sensor Quantum sensor, coupled with Zebra-Tech Hydro-Wiper, is an accurate way to measure photosynthetically active radiation (PAR) in freshwater environments. The rugged NexSens CB-450 offers long-term durability with 30 watts of solar power, 450 pounds of buoyancy and a choice of instrument mounts for multiple sensors. Additionally, the WQData LIVE web datacenter allows 24/7 remote access to collected data from any computer or mobile device, while incorporating instant alarm notifications and trend tracking. Fondriest Environmental, Inc. “Inland Lake Monitoring.” Fundamentals of Environmental Measurements. 22 April 2015. Web. 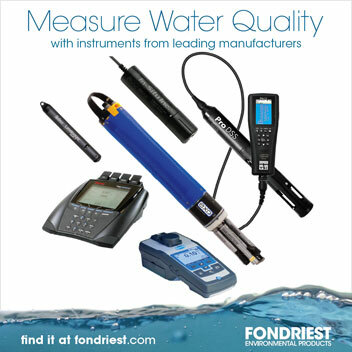 < https://www.fondriest.com/environmental-measurements/environmental-monitoring-applications/inland-lake-monitoring/ >.